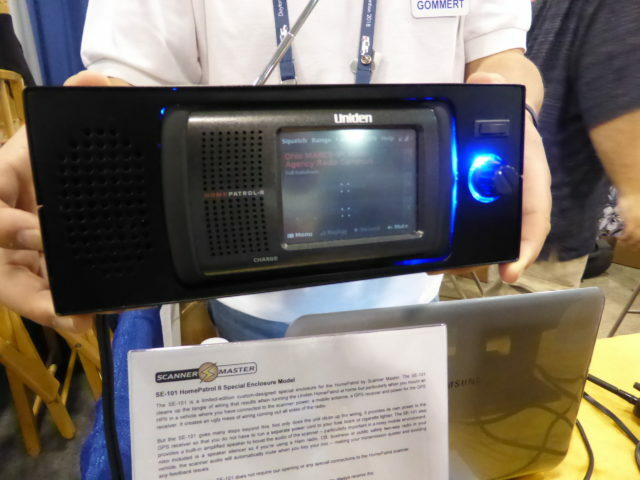 At the last day of CES 2019 in Las Vegas Uniden officially announced the introduction of the new scanner SDS200. 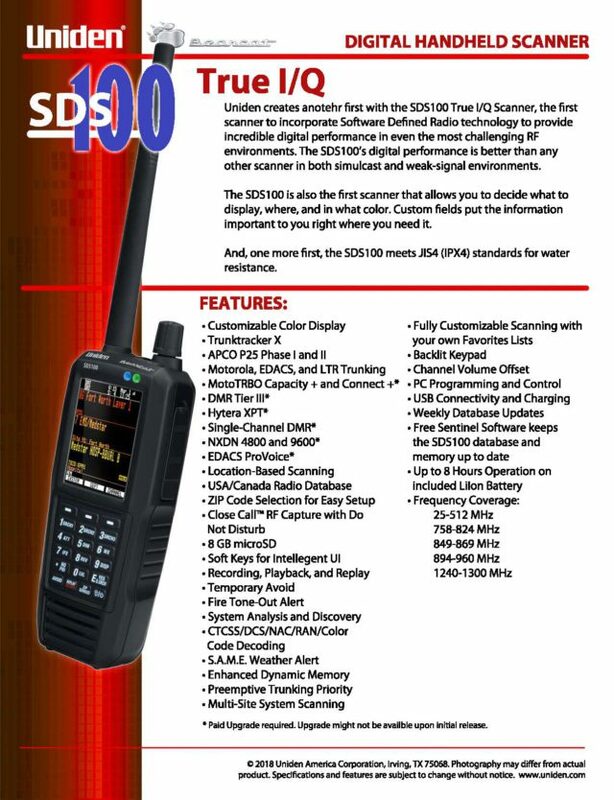 The SDS200 is the mobile version of the portable SDS100. The SDS100 was developed with new technology, so not be compared with earlier models. Same counts for the SDS200. It is total new technology and totally different from other mobile models like BCT15X or BCD536. Technology of SDS100 and SDS200 is now based on SDR chip technology. That allowed the SDS100 and the new SDS200 to have several new features. The SDS200 has a large display that can be programmed for many different colors. And of course the SDS200 has the famous Uniden trunking technics that no other brand of scanners is offering. The casing of the SDS200 is bigger than casing for SDS100. This results in more space for the components and less chance of internal interferences. Also more filters could be added to SDS200 compared to the SDS100. Looking at the front of the SDS200 you will notice the ethernet connection socket. That slot can be used to connect the scanner to a computer and the internet. It will allow control, programming and streaming of the scanner and the signals received. Laws in Europe and USA are different. In USA it is common to publish police or other public service communications through a website on the internet as a streaming service. In Europe it is not always legal to distribute signals that are being received. Certainly not if the signal is coded or scrambled. But trunking is not encrypting or coded. It is jumping through several frequencies to allow more users on a limited number of channels. Because the US president want his wall there is a government shut down in USA now. It also means that the FCC is partly closing down. The approval for SDS200 came just in time, but Uniden and other manufacturers are getting delays now for several products that need FCC involvement before they can put these on the USA market. SDS200E FOR EUROPE For Europe there will be the SDS200E. The model is expected to arrive on European marker in second quarter of this year. 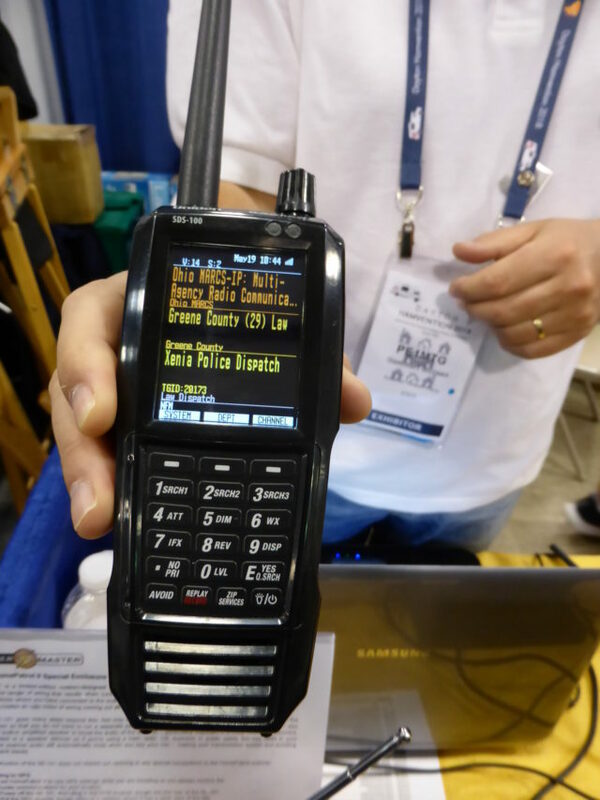 It will be great addition to the existing analog mobile models UBC355XLT, UBC370CLT and BCT15X. For European model UBCD3600XLT users can buy an activation key to upgrade for NXDN or they purchase a model that has the upgrade already included. For SDS100E users had to purchase activation keys for DMR, NXDN and ProVoice or purchase a model that had these activations already entered. 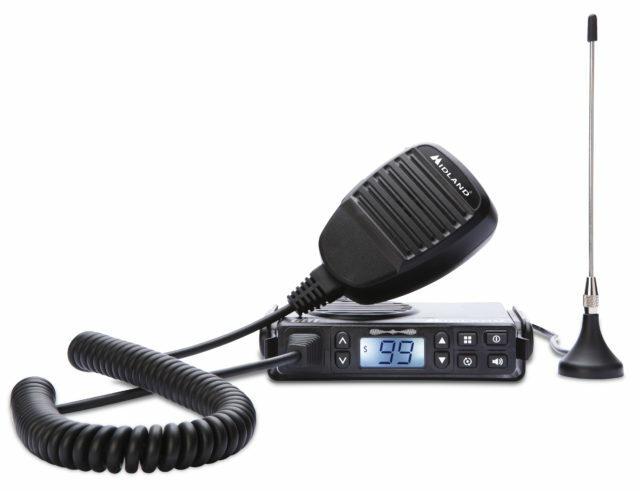 DMR – NXDN – PROVOICE ON SDS200e Avera is happy to announce that the European model SDS200E will be sold with DMR, NXDN and ProVoice already activated by the factory. The final price for the European market is not published yet, subscribe to this blog to be informed when more info gets available for the SDS200E. June 2018 Uniden USA hopes to introduce the new scanner Uniden SDS100 on the USA market. 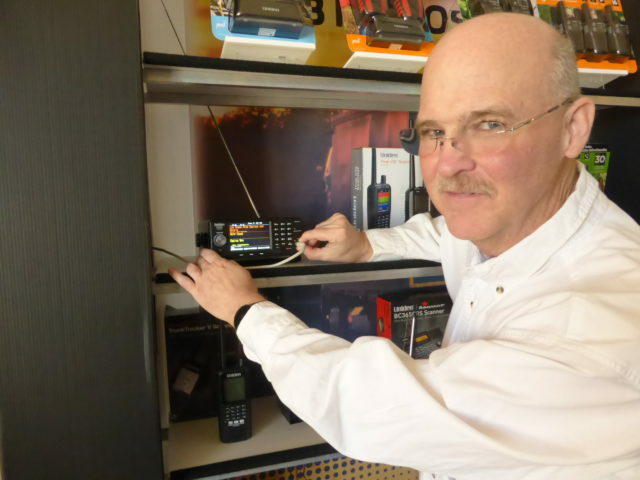 many scanner listeners are asking Avera when the European version of the SDS100 will be available in Europe. The truth is that we can not tell at this moment, we are discussing this with the manufacturer Uniden Japan, but we can not give any information yet. Follow this BLOG ( subscribe) and for sure we will announce it on our Facebook page and Avera website homepage. 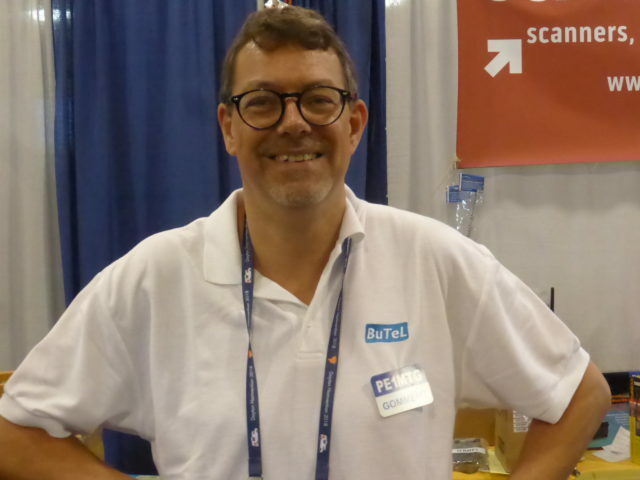 We had the pleasure to interview Paul from Uniden USA and ask him about the Uniden SDS100 for the USA market. Please watch the video, his voice is a bit crispy, he just had some surgerey, but he was willing to make this video with us. Thank you Paul for sharing with us! The expected price for the USA market will be around USD 649 – USD 699. Buying upgrades for DMR, ProVoice and NXDN will cost an other USD 170. These prices are ecxluding the USA sales tax. In Europe most countries have a sales tax from around 15 – 22%. 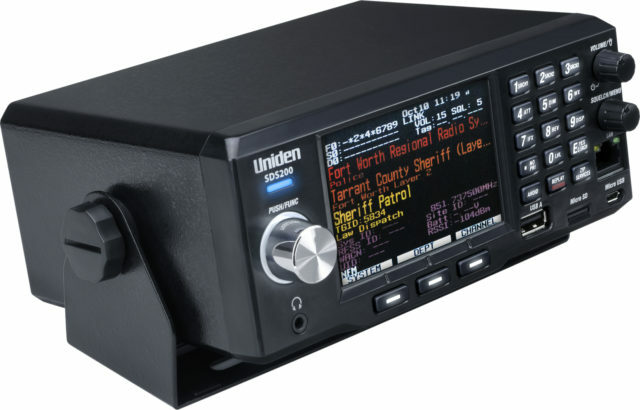 As mentioned before, the Uniden SDS100 for USA will be available somewhere in June 2018. There is a lot of talking on internet about SDS100 for USA, the UBCD3600XLT for Europe and availability of NXDN. Often people refer to Whistler TRX-1 and TRX-2 as having standard TRX-1 and TRX-2 included. Avera-Distributing is also talking with Uniden about adding NXDN to the European UBCD3600XLT. But Uniden has not deciced yet on how to do this. The SDS100 has REAL NXDN trunk tracking while TRX-1 and TRX-2 do receive the frequenties but do not really provide the trunktracking. If there is low traffic it will be okay, but if there is a busy system you need a real trunk tracking system to be able to detect and follow the communications on such a trunk tracking system. If you want to be the first to learn about SDS100EU subscribe to this blog and we will keep you informed. 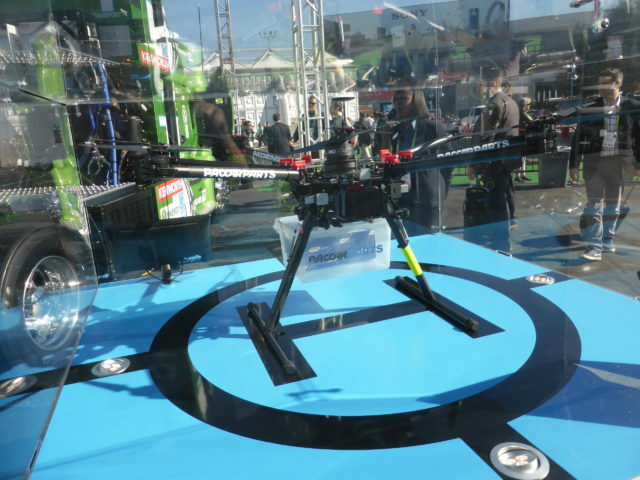 Each year, early January, is the annual CES (Consumer Electronics Show) in Las Vegas. 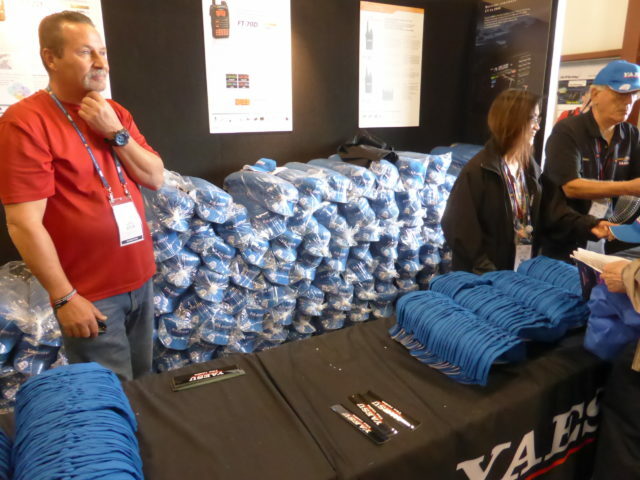 At CES products and services are introduced that will be available for the general public in the coming years. Audio, video, computers, robots, drones and now-a-days also self driving cars. 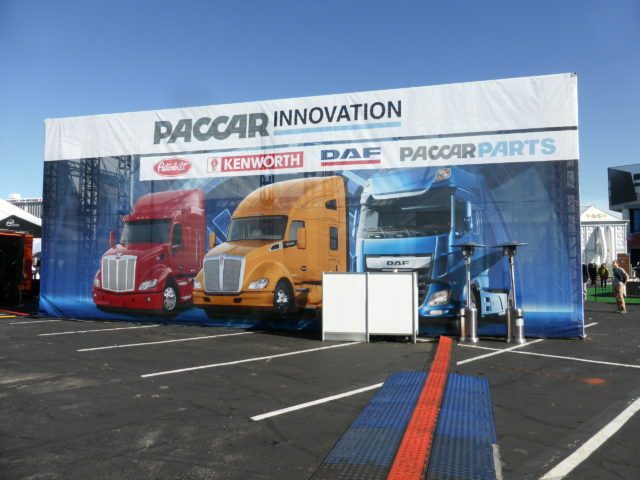 But it was surprise for me to see at CES the company Paccar, the mother company of the Dutch truck building company DAF and the famous USA truck brands Kenworth and Peterbilt. Since long time the CES is more than a consumer electronics show. It is an event that informs about all the innovations going on in the world today. 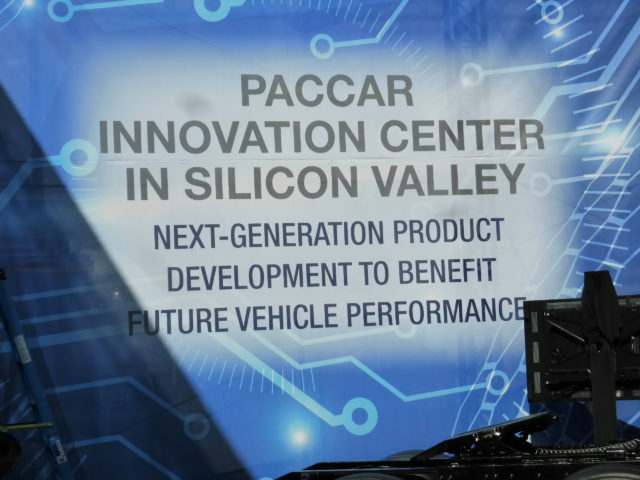 Paccar has their own innovation center in Silicon Valley. 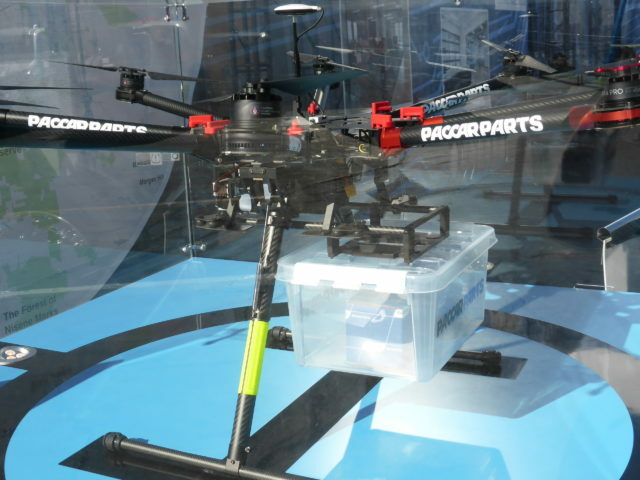 One of the things they study there is the use of drones to deliver spare parts to mechanics on the spot. The idea is that when a truck brakes down a mechanic goes on the road to get the truck repaired and driving again. But it is impossible for a mechanic to have all the spare parts in the service van. So if he calls the service center a drone should be used to deliver the desired spare part to fix the truck. First Paccar did a research to all of their spare parts. It seemed that 87% of the spares was under 4,5 Kg (10 lbs) . On the photo you see a regular professional drone with a plastic box under it. The box should be able to hold the spare part. The weight of 4,5 kg should be no problem, nor the dimensions of the plastic box to hold one of these 87% of the spare parts. It sounds all simple, but there are many problems before this drone delivery will be reality. The distance the drone that was showed can cover is 14 Km (9 miles). But according to US law it can only be used when the drone is in sight, That means a maximum reach from approx 1,5 km (1 mile). But even if the distance is 14 km, it is a 10 minute ride for a car to deliver the spare part. Does it make sense to use a drone in those circumstances? It is only one of many questions, no one knows what the future will bing. 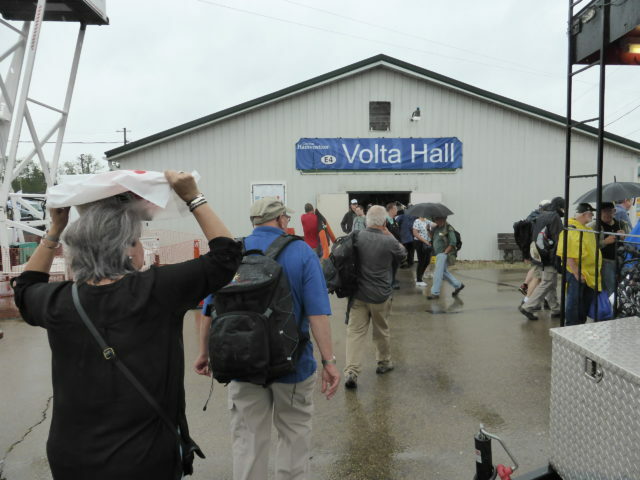 2017 Drone delivery within the pilot’s line of sight (LOS) expands in rural areas. 2019 NASA plans to release recommendations around air traffic control systems for drones. 2020 Limited commercial deliveries start with autonomous flights. 2021 Commercial drone deliveries begin in parts of the USA as air traffic control and autonomous flight systems mature, enabling more complex delivery operations. ONLY TIME WILL TELL what the future will bring us, but CES made clear again than many exiting things start to happen the coming years also within the trucking industry. Does the regulator in your radio run hot? Excessive heat from a transistor means the part is undersized for the circuit or that the circuit itself is not very efficient. Changing the radio’s modulation circuit is impossible. But the solution for this problem is the Palomar MAX-MOD Transistor. Palomar is a famous old CB brand name from USA. The name is owned and used now by EKL Components, the mother company also for Magnum Radio’s and Motocomm helmet sets. 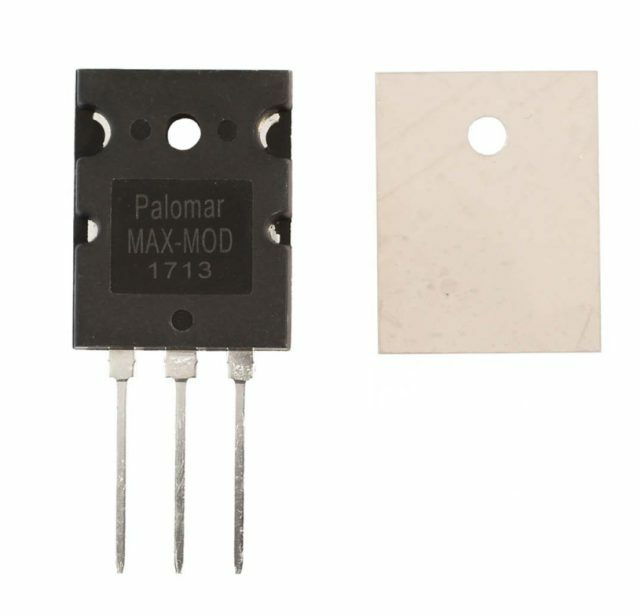 New in the Palomar program is the MAX-MOD, a special transistor. 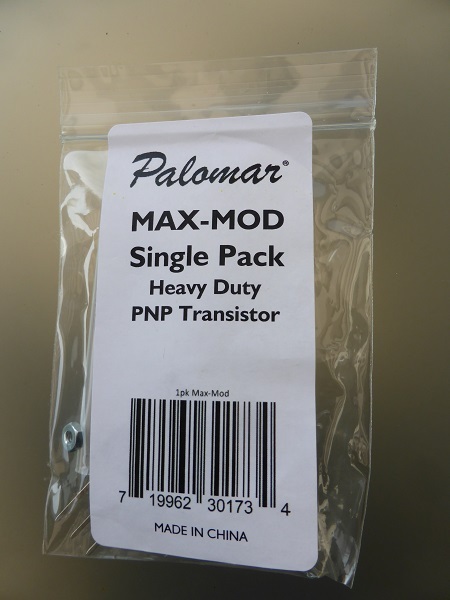 The MAX-MOD is a replacement and upgrade PNP transistor for the modulation circuit in most radio’s. The MAX-MOD replaces the common 2SB and TIP parts. 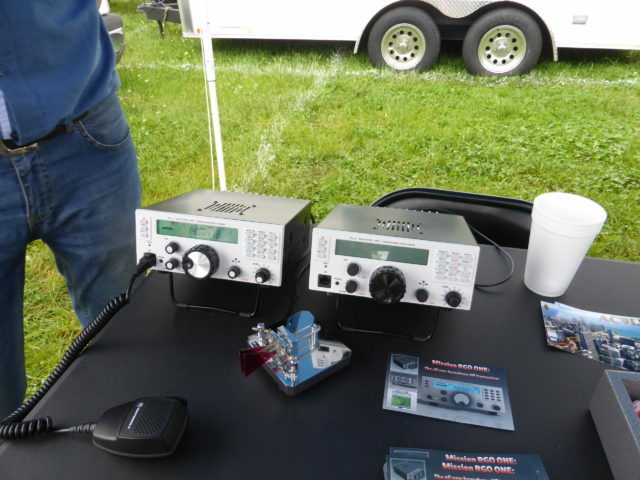 The MAX-MOD works very well in 10M radio’s, including President models. The MAX-MOD will give the RF section the current it needs and will increase the peak power by and average of 10% or more. The MAX-MOD has the same lead spacing as the smaller transistors it replaces, making soldering very easy. The MAX-MOD uses a hughe TO-3PL package for improved heat dissipation, and comes with a mica insulator so you do not need to try to find one. 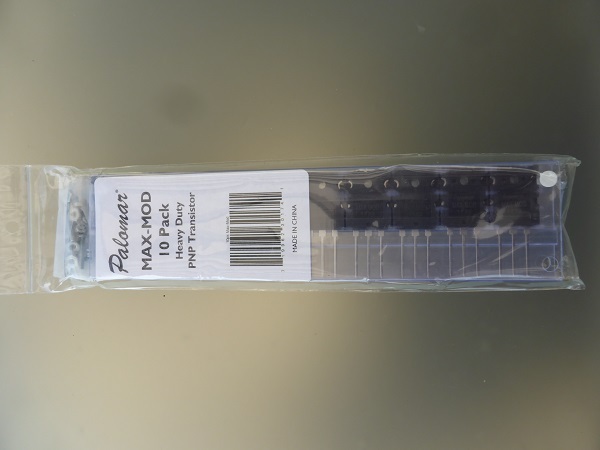 The MAX-MOD is available in single pack and 10-pack for technicians. The MAX-MOD Transistor is available from stock at Avera-Distributing. 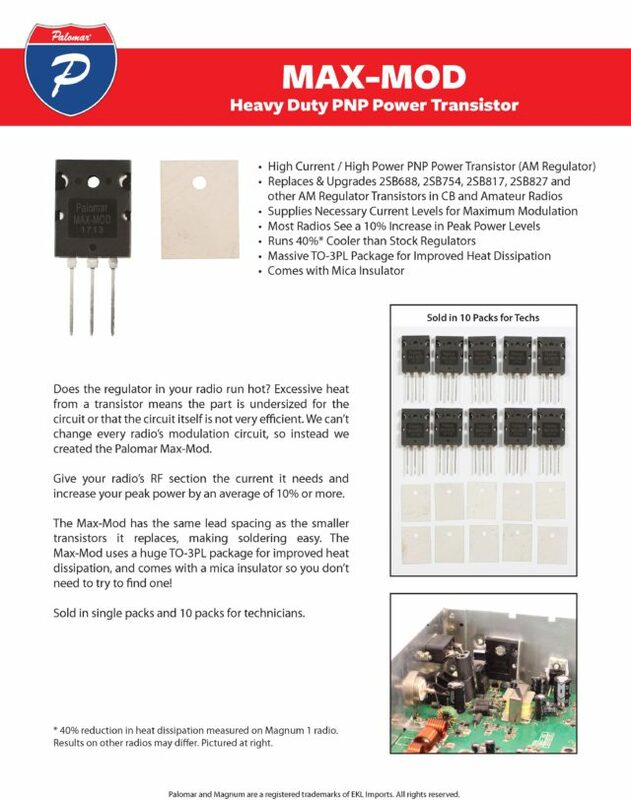 For a datasheet of Palomar MAX-MOD Transistor click here. 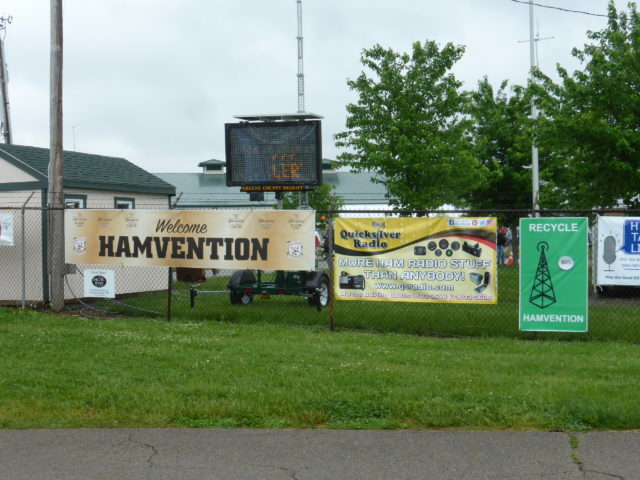 The Santiago 1200 is very well known model antenna that has been around for many many years. I am in the CB for over 40 years and that model exists as long as I can remember. I have no idea who the original manufacturer was. All popular models in this industry have been copied and copied again. Around 15 years ago some antenna manufacturers decided to cooperate more closely. The Italian companies, Sirtel, Mantova, Sigma and Lea combined forces to attack the European market. 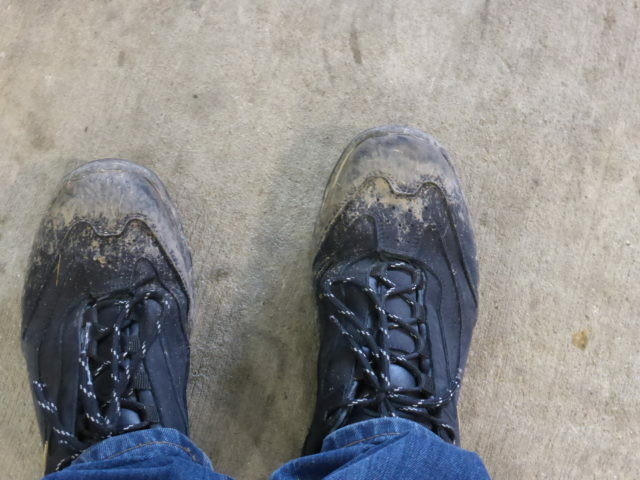 That went well for some time, but few months ago the doors of the factory closed. Some people think there will be a re-tart, but others doubt this. Honestly, I have no idea what will happen. 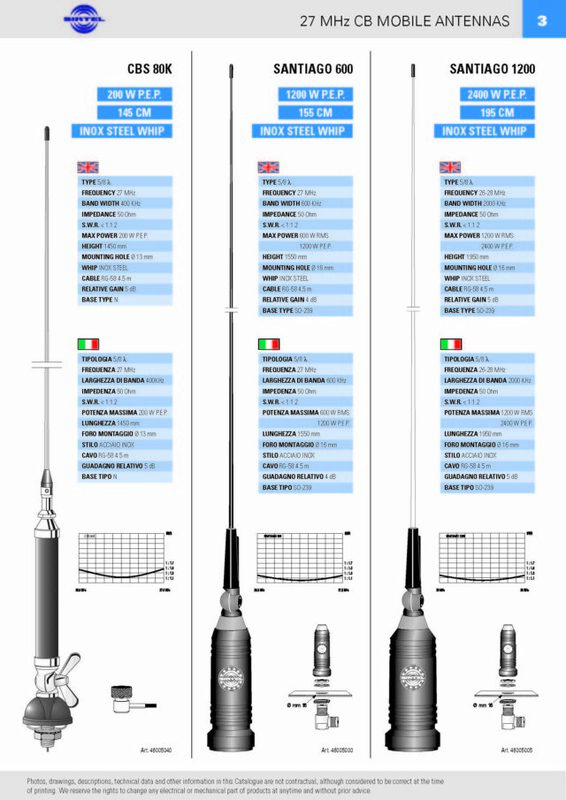 The most popular models from the factory were the Mantova base antenna and the Santiago 1200. No need to be disappointed because there are still several Santiago 1200 or S1200, or SS1200 on the market. As I wrote in the beginning, many factories copied this model. It is copied so many times that we do not know anymore from who the original is. It also does not mean that the copies are from less quality. Sometimes copies can better than the original. At Avera we have two different and equal Santiago 1200 models for sale. 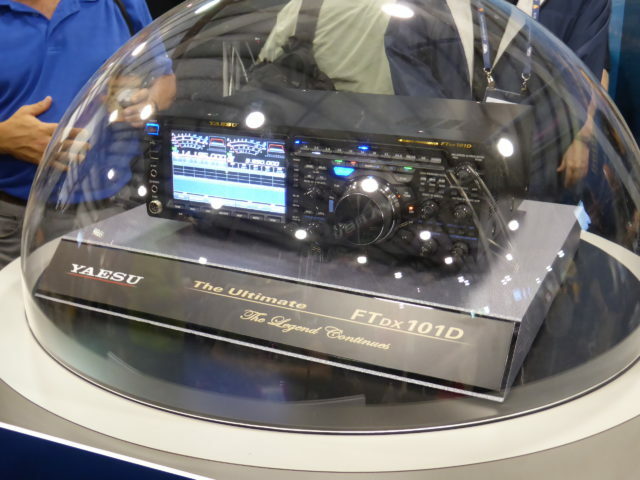 So for those who still want the Santiago 1200 , no need to be sad – the antenna is still on the market. In the USA it is the FCC that rules the world of communications for all 50 states. In Europe we have the European Union, that are 28 National States. The EU is managed by the European Commission (EC). In the EU the kind of ‘FCC-department’ is called the “Directorate General for Communication-networks and Technology (CNET)”. It might look the same structure but the difference is really big. Where the FCC has the complete power in all the US states, the European Commission can make Directives . The national governments have to implement the Directives as national laws. Can you imagine a European Directive written in English or French and translated by 28 national bodies in their own language…. Yes that often results in a ‘fight’ about the meaning of content of the Directive and meaning of national translations. In our industry we have a ‘nice’ example for this struggle. There is a European Directive for the so called PMR446 regulation. 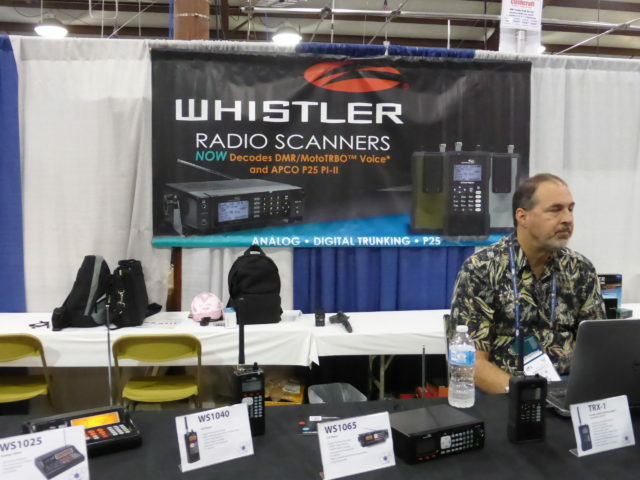 It can be compared with USA radio’s for FRS or GMRS. 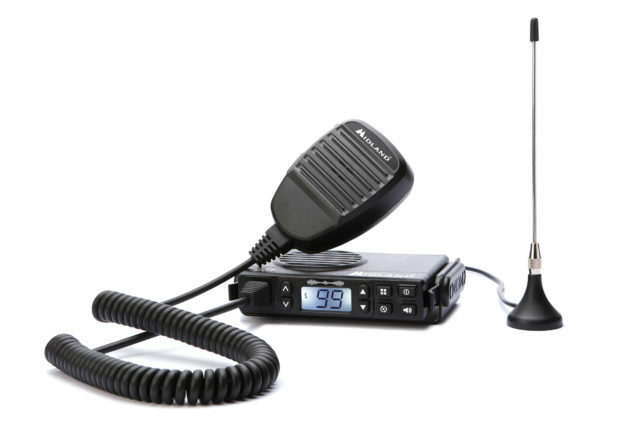 The directive tells us the equipment for PMR446 needs to have a fixed antenna. So basically the idea was to have small portable radios, walki talkies, operating on 8 channels in the 446 MHz band. 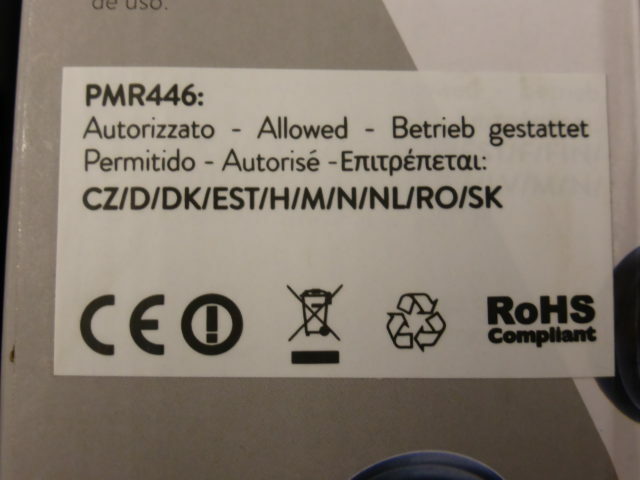 To put such a radio on the market the manufacturer needs a Document of Compliance. An accredited laboratory investigates such a product and if it is complying with all the applicable rules they give a Declaration of Conformity. In short this is the way to act when bringing radio’s on the European market with the necessary CE or CE! ( CE-alert) sign. So manufacture according to the technical specs of the directive and ETSI norms, have it tested by an accredited laboratory, get the necessary paperwork done for CE and you are in business! This was exactly what Midland did when they put the Midland GB-1 on the market. 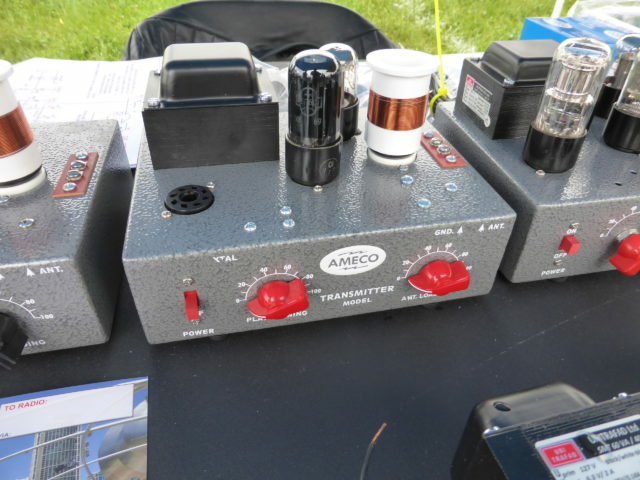 A portable radio with a fixed antenna. The antenna was fixed with a cable to the radio. The test lab saw no problem, it was according to the Directive, the antenna was fixed and not detachable. The Midland GB-1 came on the market with all the necessary markings for CE, that is a CE sign and a listing of the countries for which applicable. 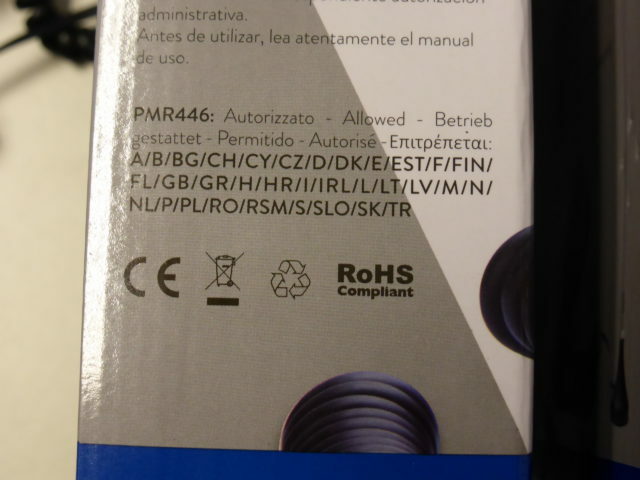 It did not take long before some national European Authorities saw the product in the market and told Midland “this is not according to the Directive for PMR446”. Midland told them “this is the documents from an official accredited laboratory, so what can be the problem? “. In such a case of discussion or rejecting by a national Authority , each Authority can inform the DG of the European Commission to file a complaint. There will be a short investigation and it might result in an instruction to all 28 national Authorities “take this product out of the market”. In the case of Midland GB-1 there was a discussion between all the national Authorities in Europe and the votes were quite divided. Countries that had no problem with the construction of this radio were: Denmark, Malta, Czech Republic, Hungary, Germany, Estonia, Slovakia, Italy, The Netherlands. Countries’ that say “not allowed” were Croatia, Switzerland, Finland, Portugal, Norway, Austria, Belgium, Latvia, Luxemburg, France. Some countries thought it was hard to decide and needed time to think: Bulgaria, Ireland, Sweden, UK, Greece, Poland, Spain, Cyprus, Lithuania. Because of all the discussions in the various countries Midland had to change the paperwork for this radio and also the printing on the box. For an end-user it looks easy but for a manufacturer this is quite a big and expensive operation to make a small change like this. 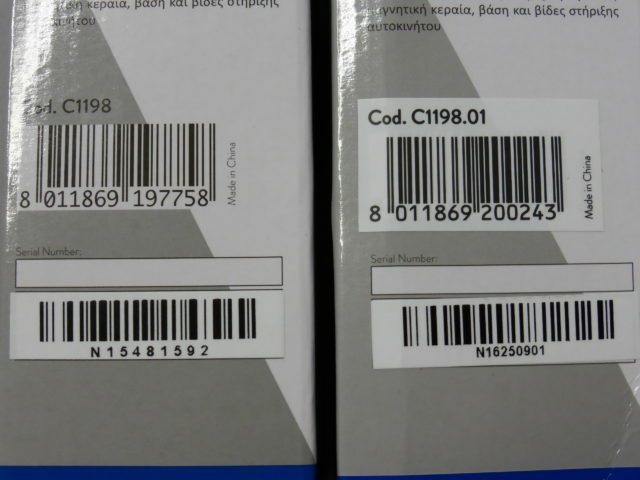 Photo: The Midland GB-1 used to be code C1198 but is now code C1198.01 also the barcode had to be changed. So we have a European Commission making Directives. The national Authorities have to turn these Directives in to national law. But at the end of the day the national Authorities still want to have the final word. The case of Midland GB-1 illustrates exactly how divided Europe can be. As a European tradesman I love the European Union for all the good things achieved. I just hope that people from national Authorities will start to think more European than they do now. Or the European countries must give more power to the European Commission and European Parliament. If there is a European Directive/Law there must be a product for the complete European market and individual countries should not have the possibility to ban products from their national market. The Midland GB-1 is a fine product, it is manufactured according to the EU standards, there is a demand in the market for this product and it should be available for the benefit of all European people. 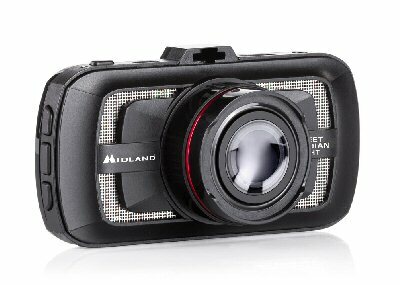 Many brands offer action camera’s or dash cams for use in trucks or cars. The most recent in the Avera stock programma is the Midland STREET GUARDIAN NIGHT. For details about this product visit our website. 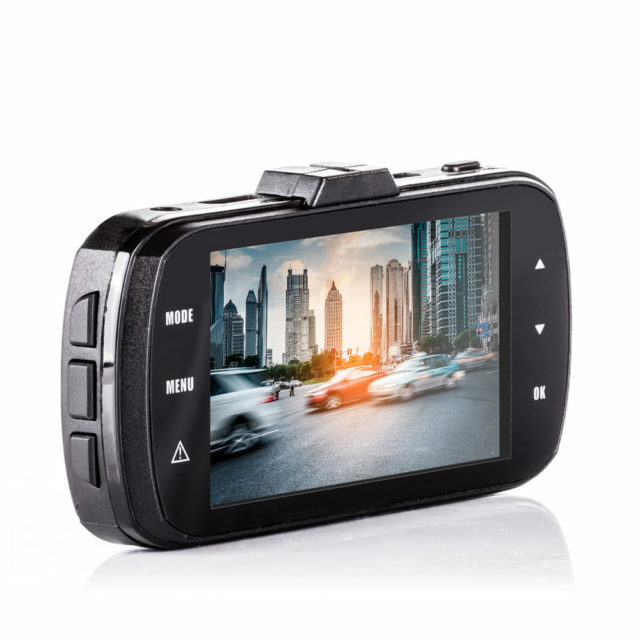 More and more drivers purchase a dashcam. It allows to film scenic routes and gives ‘proof’ in case of an accicdent. But not in every country the use of dashcams is legal. Not allowed to publish or distribute the video’s made if people in the video can be identified. Dashcam and cables should not block the views of the driver. No filming on private property, be aware for privacy regulations. GERMANY: advise is ‘do not use’. Unclear about legal aspect for use in court. Be aware of privacy regulations. GREECE: No legal information available. Publication of video only wen people can not be recognised. Privacy regulations not only for persons but it is also not allowed to publish a video with readable license plates. Be aware for privacy regulations, Also certain objects like country borders should not be recorded. Data protection laws do not allow the use of dash cams. AUSTRIA: advise is ‘do not use’. It is not allowed to video people, this affects also use of dashcams. POTUGAL: advise is ‘do not use’. Only allowed if one has a license from Portugese Data Protection Authority. Restrictions when people are filmed without permission. Spain: advise ‘do not use’. Use should not distract the drivers attention. No allowed to use in public areas. Sight of driver should not be blocked. Not allowed to publish video without permission. Not allowed to operate during driving. Be aware of privacy regulations before publishing. • If the use of a dashcam is not allowed do not show the camera on your dash board, even when not in use. • Always make sure the dashcam does not block the sight of the driver. • Never operate the dashcam during driving. • Do not publish video’s when people can be recognised. • Always respect the privacy from others. DRIVE SAFE AND ENJOY YOUR VACATION ! 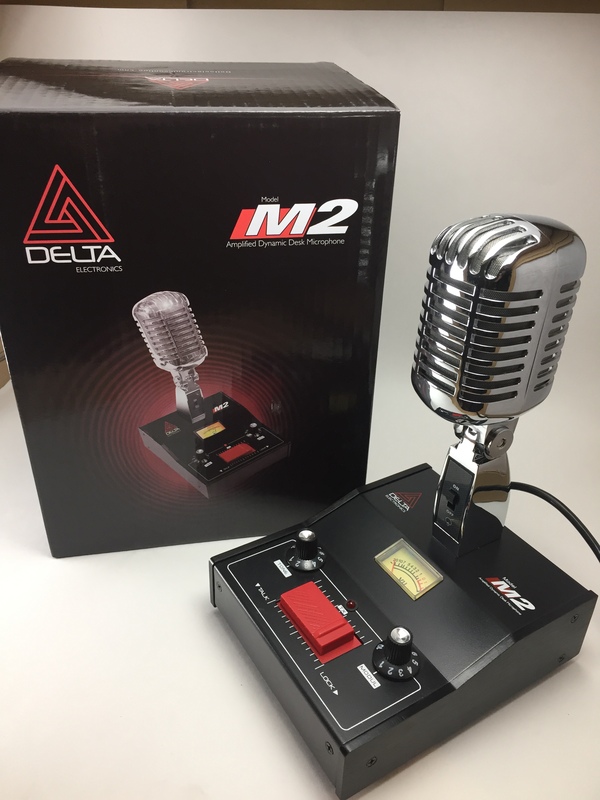 Last time i introduced the Delta M2 Desk Microphone. 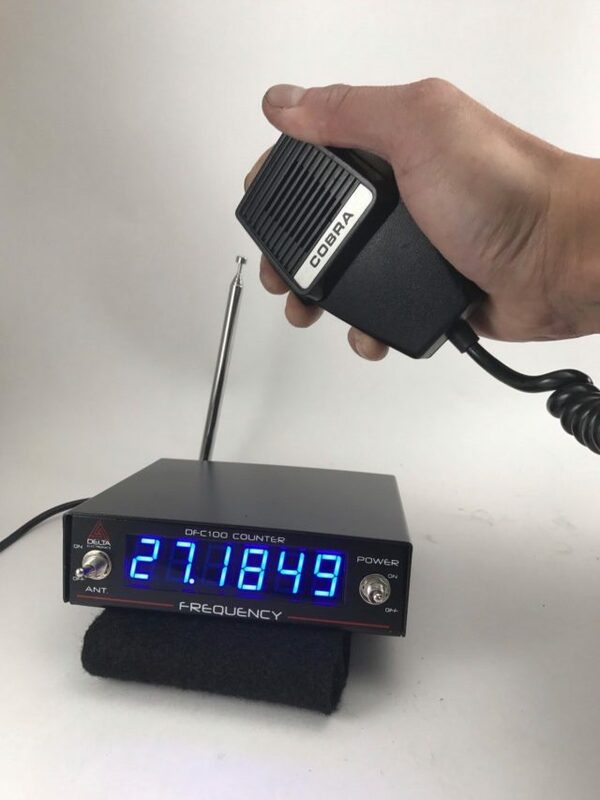 This post is about the Delta DFC100 wireless frequency counter from the same company. Although the DFC100 is called a wireless frequency counter it can also be used as a regular wired counter. On the back panel are 4 connecting possibilities. Two pieces SO-239 connectors for direct connecting to a transceiver and antenna. Next to these is the slot to connect a 12 Volt DC source. Last but not least is the connection for the antenna for wireless measurement of the frequency from a transceiver. This antenna is included in the gift box and has a length of approx. 62 cm. The display reads the frequency in the range from 0.5 – 50 MHz in blue LED’s. On the left hand side is a switch to select wireless measurement on/off. On the right hand side is the general on/off switch. Manufacturer Delta is based in the USA. In the gift box is a USA 110 Volt AC/DC adaptor. 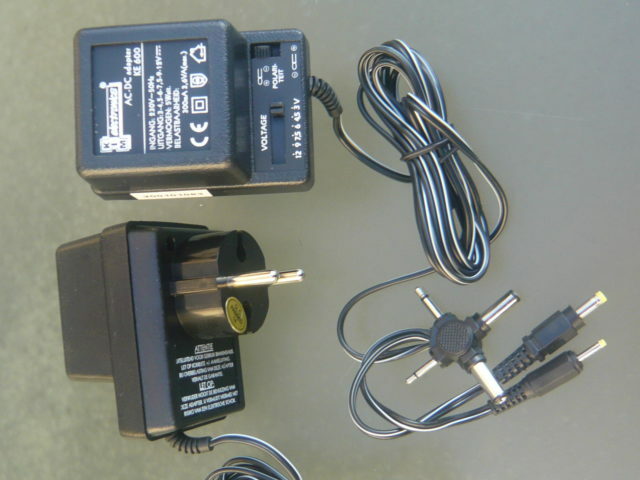 For operation in Europe is is necessary to use a 12 Volt DC adaptor with EU plug. When we used a switching power supply it resulted in a ‘noise’ in the receiver. Maybe this was a one time event. When using a very cheap KIM KE600 adaptor there was no noise to be heard. The Delta DFC100 wireless frequency counter is a good counter, easy to use. The extra option for wireless measurement of the transmitted frequency can come in handy. Do not forget to use a good functioning 12 Volt DC adaptor. 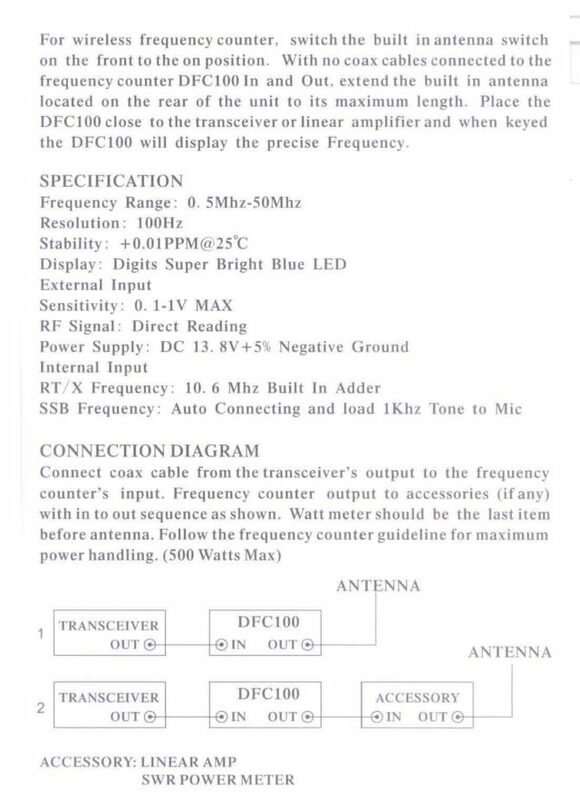 Below is a part of the user manual that shows the specifactions for the Delta DFC100 Wireless Frequency Counter. PS: Make sure you get a notification by e-mail when a new blog is published. Visit www.avera-distributing.com and register your e-mail adress. After many years in CB business it is a pleasure to be happily surprised seeing a new accessory for the CB market. Unpacking the Delta M2 base mike really gave me that warm feeling again. 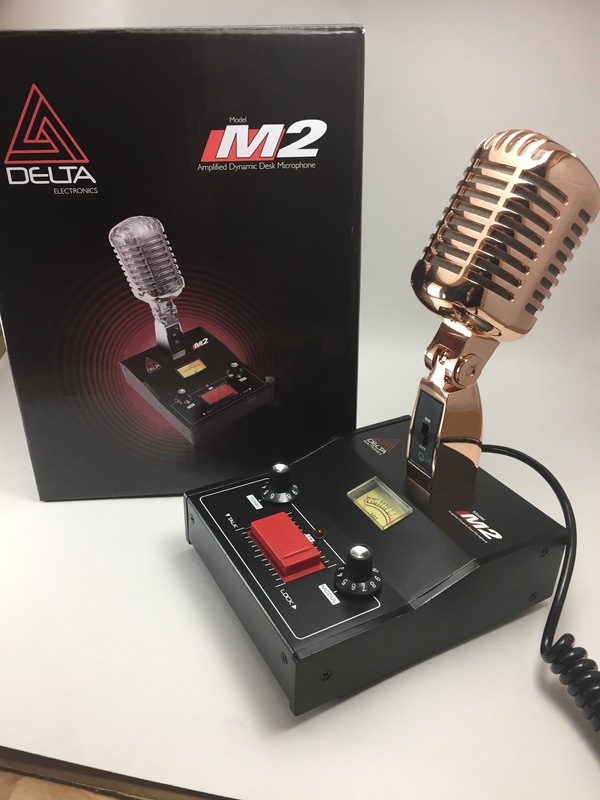 There are 2 version for M2 available: Delta M2 CHROME and Delta M2 GOLD. Both types are exactly the same, just a different color. And ofcourse the gold version is more expensive than the chrome version. These 2 brand new models come from USA. They come with the standard USA 4-Pin CB connector and the common Cobra/Uniden/President wiring. 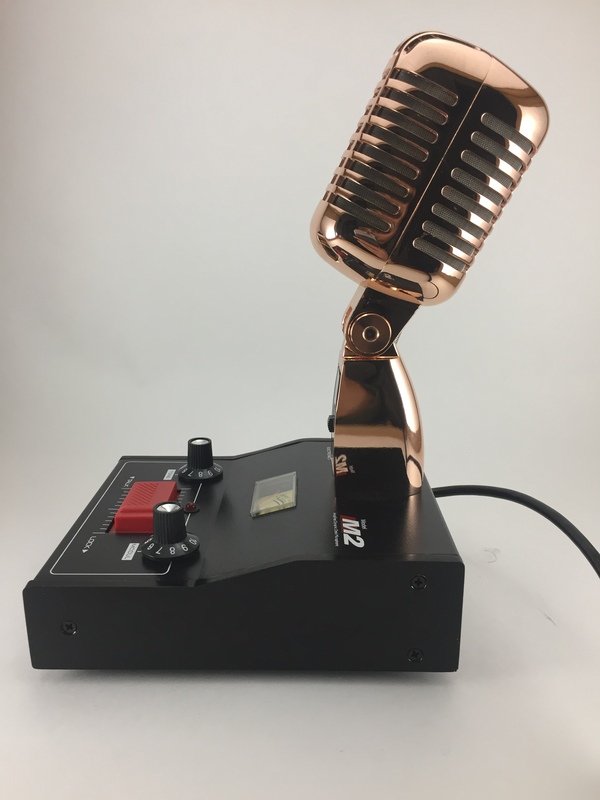 For the 6-Pin President radio’s we have an adaptor or an adaptor cable to convert a 4-Pin microphone to a 6-Pin radio without any soldering. Check the list of the accessories that are mentioned in the product description of these 2 microphones on our website. Like most base microphones the amplifier in the M2 microphone needs a 9 Volt battery. That is not included in the packing to prevent damage from a leaking battery. But that are just some technical details. Looking at this product made me happy. It looks a bit old fashioned, but it also looks robust and elegant at the same time. 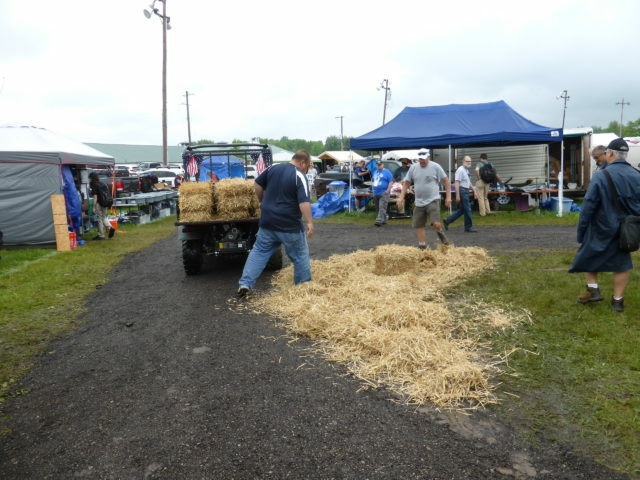 It is simple and technical, it is a combination of many other products that i saw in 40+ years in this business. It is a microphone you like to have in front of you, a pleasure for the eye, you have a horse to do the ‘heavy job’. Although there are not many CB users that think talking is a difficult job. 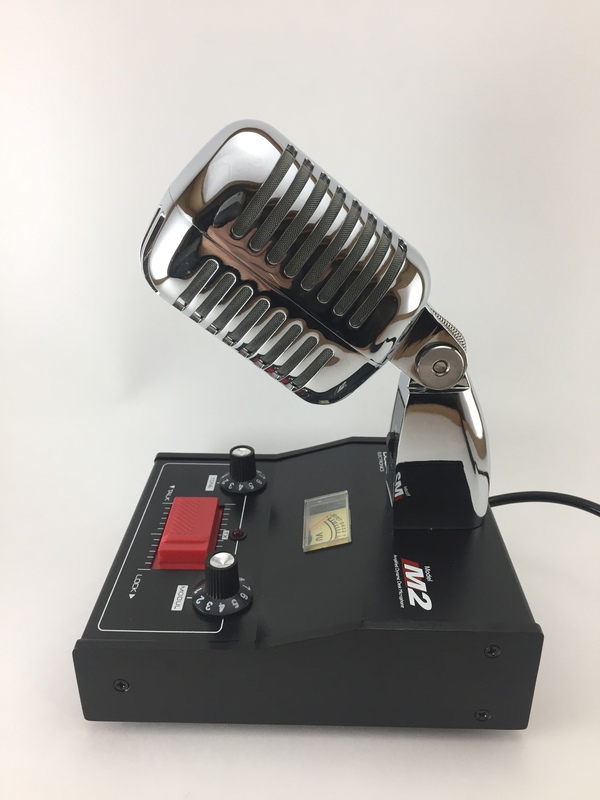 The M2 is an amplified dynamic desk microphone. On top of the housing you find the controls for Tone, Modulation, the Push To Talk button with lock function, a LED for TX and a VU_meter showing the power of the modulation. On the microphone stand is a switch to turn the microphone on or off. The head of the microphe can be turned backwards or forewards depending on the preference of the user. A quick test learned that the Delta M2 delivers a very strong and good audio signal. And to be honest, we did not expect something different from this master piece. It is not a cheap product but it feels like a privelige to use this microphone and use it.